During the one week excursion around the Basque Country, you will cover several cities: Valladolid, Vitoria-Gasteys, Bilbao. Ribera-del-Duero wine production region is also included into the list of visiting. Some of the most known wines of the country are produced here. You will visit CEPA21 winery with overview excursion, degustation and a lunch. It is interesting to know that the owner of the winery has a lot of friends from the World of Sport. For example David Beckham, Pau Gazolu and other famous people visited CEPA21 winery. Different wines, including Cepa 21, were presenting on an official banquet in honor of a Spanish national team victory in the World Cup 2010. Other wineries like Pesquero de Duero, Emilio Moro, Campo Viejo, Marques de Riscal are waiting for yuo. 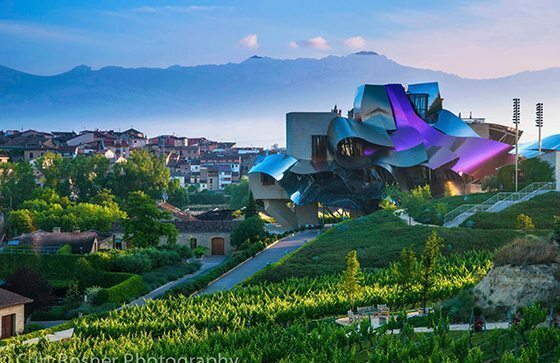 Just for your information Marques de Riscal is world famous center of wine tourism center. The CastillodePenafiel museum and unforgettable supper in El Figon de Recoletos restaurant and many other things will make your journey unforgettable.